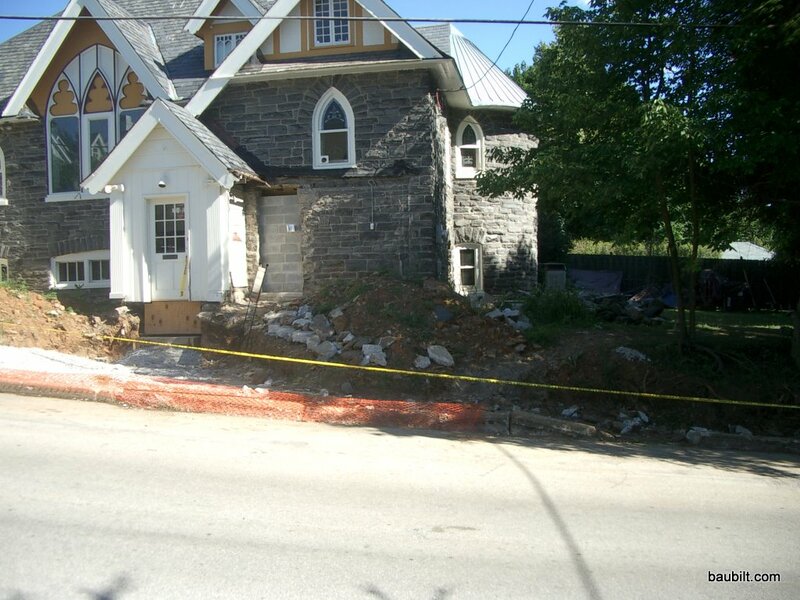 February 9th, 2010 by KTU | Filed under Reworking Side Entry. Exposing the original entrance from 1890 something. 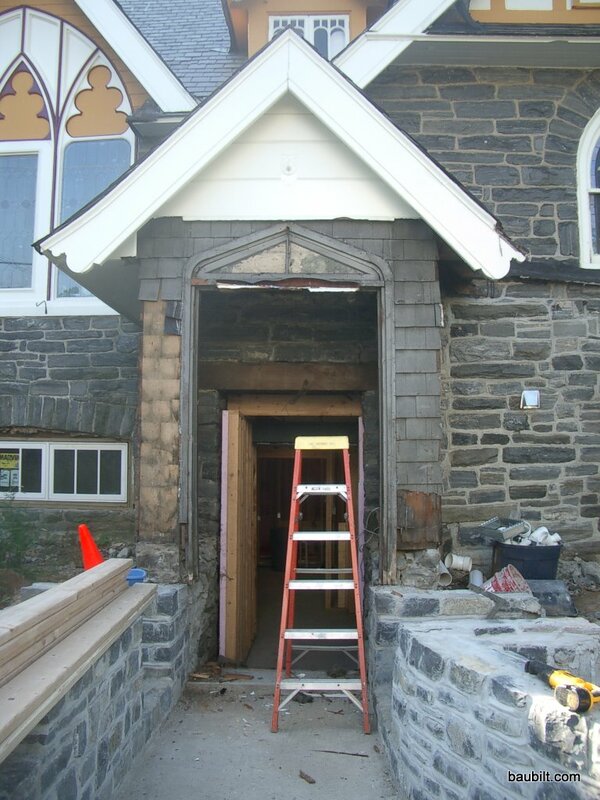 The original entrance after pulling off siding applied in the 1950s. I saved the transom window for some future use. You can see the other side door to the right is now closed off pretty nicely using reclaimed stone. 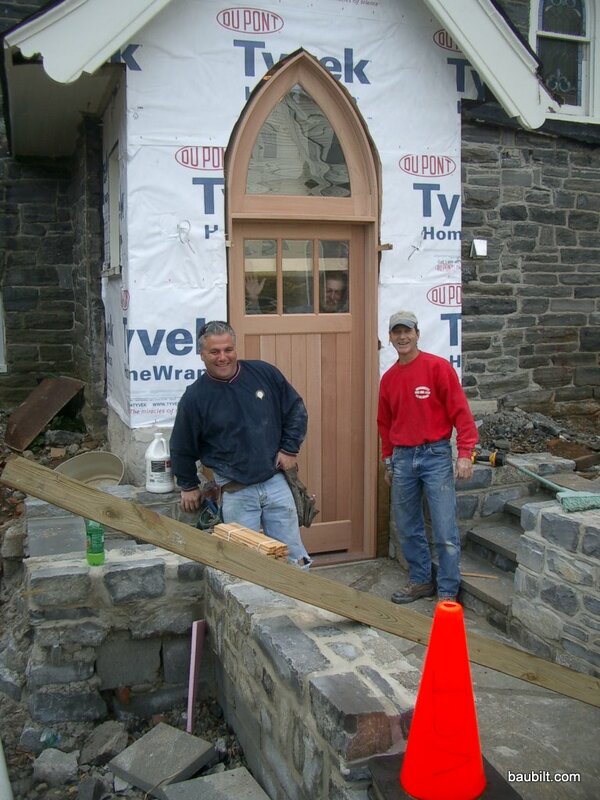 My general contractor Joe Venuti (on left) with finish carpenters Matt and Bernie (through window) installing the very nice new custom side door with gothic window. 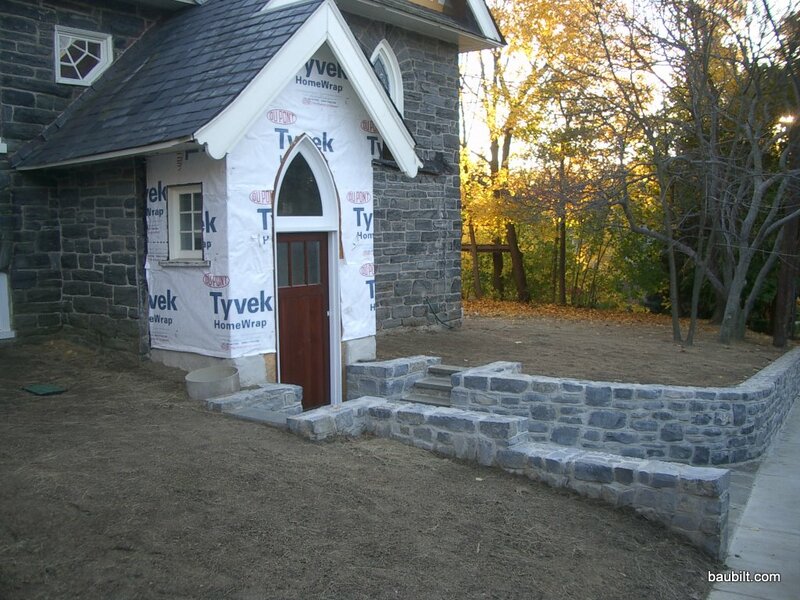 The nearly finished side entrance, just waiting for the new vertical v-groove Spanish Cedar siding. 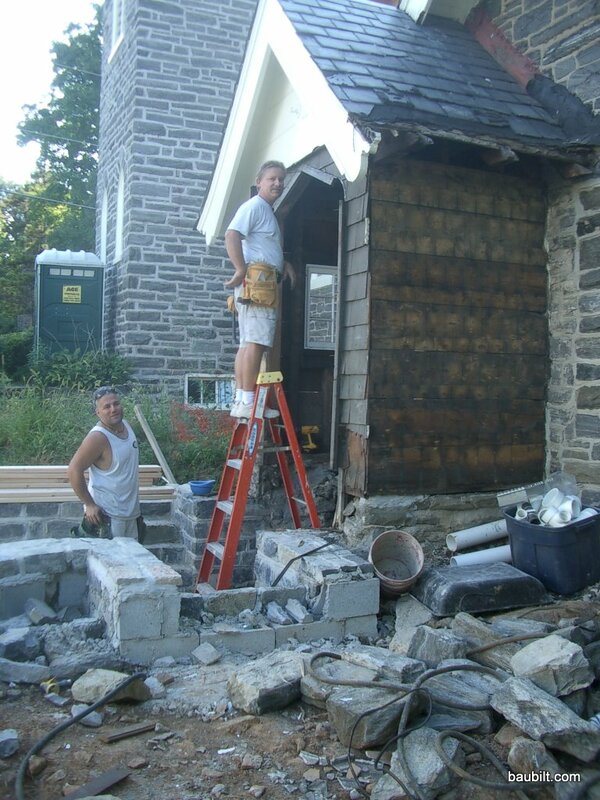 Compare this shot to the first one and you'll see the four foot difference in height of the door.